Hello PinkWhen friends, this is Cindy from Little Miss Celebration and it’s so great to meet you. 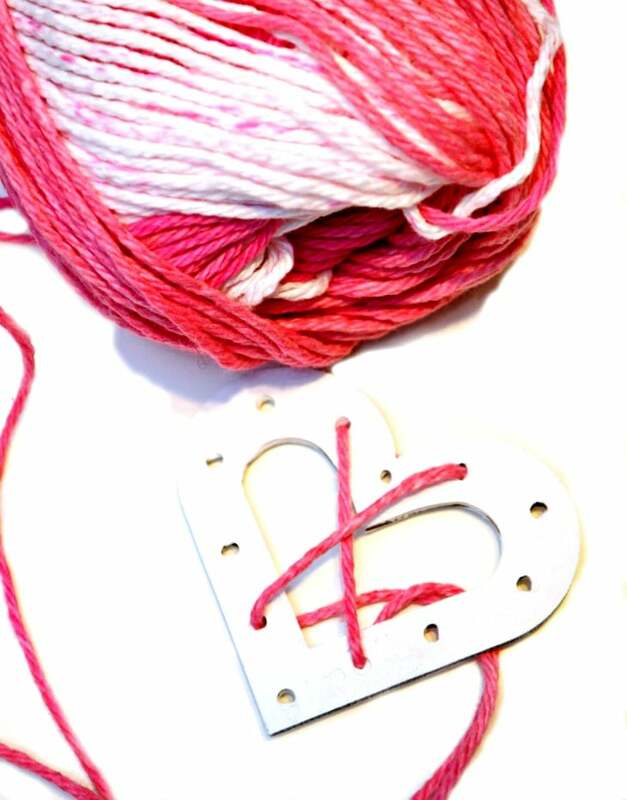 Today, I’m sharing an easy & fun craft that’s cupid-approved! 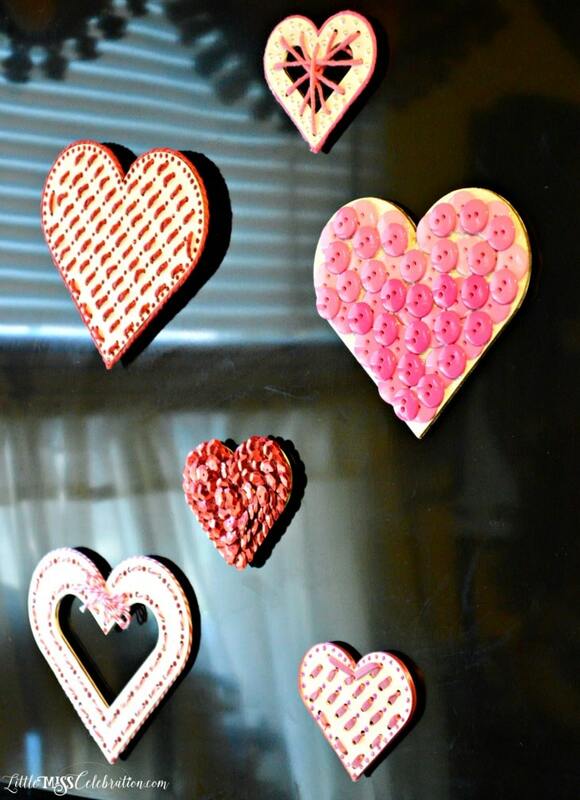 These Valentine Heart Magnets are perfect to add to the heart of the home, the kitchen. 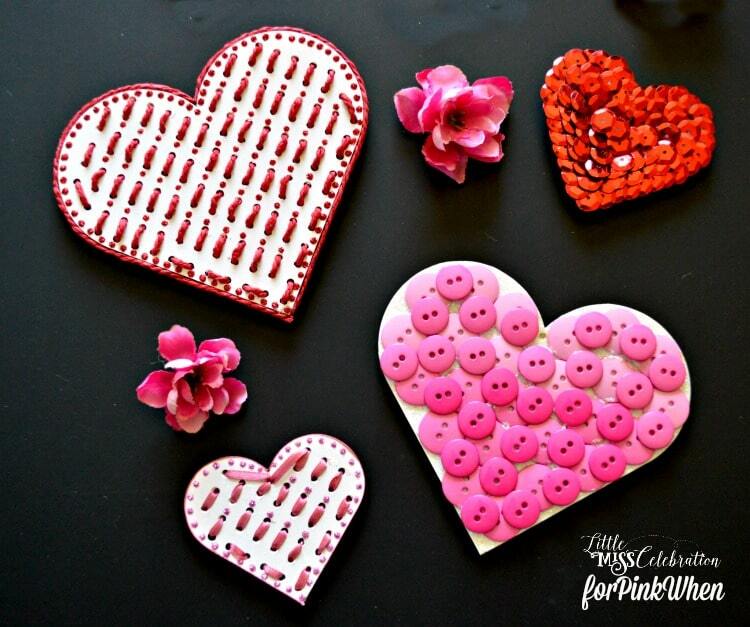 Put them on the refrigerator or any metal surface to add a bit of Valentine sparkle and shine. 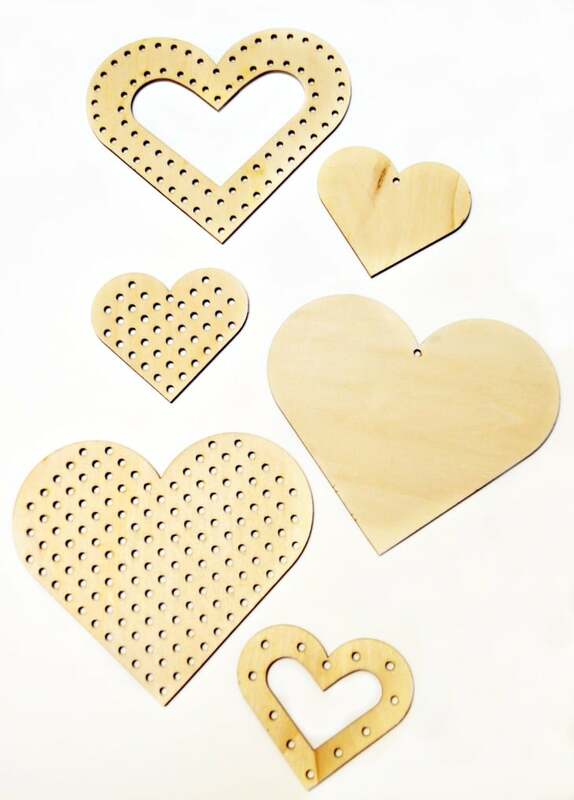 I found these great, wooden hearts in the craft aisle at Target. At $3.00 for 6, they’re a bargain! Three of the hearts have holes perfect for lacing and two are plain. These hearts are a perfect stash-buster project – grab whatever you have on hand and unleash your creativity. Here’s some inspiration to kick start your creations! Valentine Heart Magnets. You can leave the hearts plain or paint them any color you like. I gave each heart two coats of white acrylic paint. Some paint will definitely get in the holes, but once the paint is dry, just punch out the paint with an awl or nail. Easy as can be! The holes are large enough that you can lace through them without any needle at all. I treated each heart differently and used paper ribbon, baker’s twine, yarn and regular ribbon. On the plain heart without holes, I covered one in red sequins and one in two shades of pink buttons. Add some extra sparkle to the laced hearts with Stickles glitter glue, one of my favorite craft products! I added “pearls” to one of the small hearts with Liquid Pearls. If you never used Liquid Pearls, you’ll love it! You can add the look of dimensional pearls in any size with just a squeeze of the bottle. 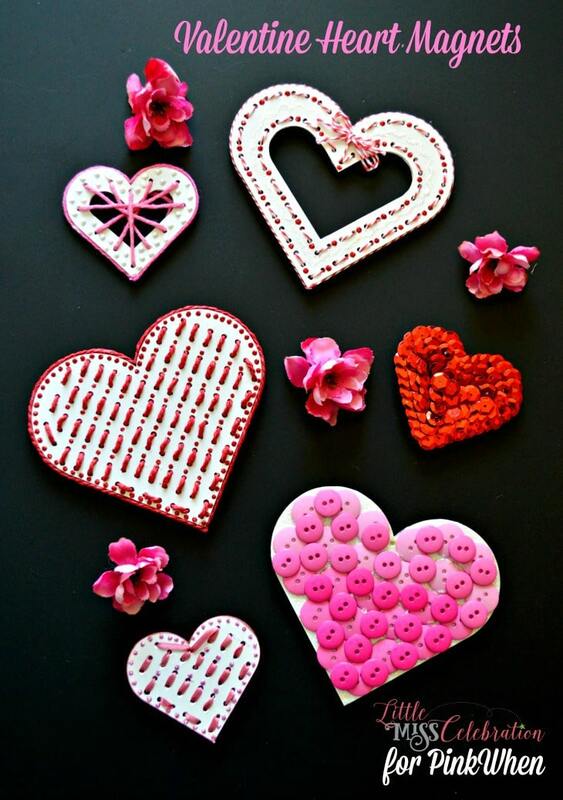 It’s easy to turn your finished heart creations into magnets with magnetic tape. Cut a piece to size and add to the back of each heart. I used two strips on the large hearts. 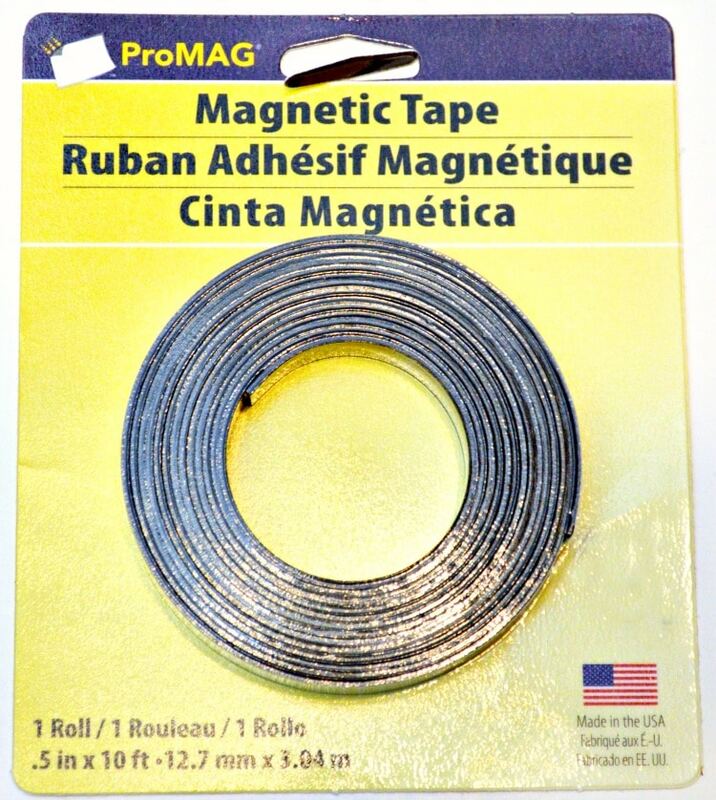 Even though the tape is adhesive backed, it helps to add extra glue to make sure the magnets are firmly attached. I used to have my refrigerator COVERED in magnets! I mean, almost every square inch! 🙂 When we replaced the fridge last summer, I promised hubby I would limit the magnets. I love how these look in my kitchen and how they pop on my black refrigerator! Valentine’s Day will be here before we know it! Here are a few other great ideas to help celebrate! It was so much fun to share this project with you – have a wonderful Valentine’s Day! this is such a super cute idea! i love the stitched magnets best! Love the Valentine ideas on this page. I’ll have to look for those magnets at Target. Always an excuse to stop by my fave store!! If my Target had those I missed them. I love what you did with them. Thanks for sharing on the #HomeMattersParty I hope you will join us again next week.